1Byte Load was being limited to 160. If turned off, the CEL would sometimes act inverted. In stock form the Mid Long Term Fuel Trim can effect fueling at WOT. It is active until ~1600 Hz, which is more air then a purely stock car will pull. This Mod changes the Fuel Trim Switch Points, so the Fuel Trims will only effect fueling when in vacuum. This allows you to have more consistent AFRs when in boost, and makes it easier to get your Injectors dialed in. The ecu actually uses fractional degrees (1.50, 10.48, etc) for better control. This Mod allows you to log Advance with two decimal point precision. This is useful, because before logging 10*, would mean actual timing was between 10.00* to 10.99*. And one degree of Advance can be the difference between having Knock or not. And one degree of Advance can result in double digit Horse Power changes at higher boost levels. Also added is Knock Retard in fractional degrees. This allows you to see exactly how much timing is being pulled. For example: 5 Counts of Knock equals 1.76* of Retard. Increased MAP precision from 8-bit to 10-bit. This increases resolution four times. The H8′s 10-bit ADC allows four times the resolution of the older Motorola ecus. Changed the SD calculation to increase the Load limit. Previously was 304 Load. Increased to 608 Load, this is about 1260 Crank HorsePower at 7500 rpms. Can increase the limit higher if need be, but don’t think it will be a problem for a while. Blobbits List added for Periphery 3. Allows a few more CELs to be removed. The EGR Disable was backwards in previous XMLs, 1 Disables. Removed MAF and Coolant Temp, they were the RAW values and gave incorrect readings. MAF Air Temp Scaled and Coolant Temp Scaled should be used. Moved Injector Pulse Width above Injector Duty % on list, will not work correctly sometimes if not above. Added Knock Retard and Fractional Timing Advance. Knock Gauge replaces the stock boost gauge. With the key in the ACC position, the needle will move from bottom to top. After a Flash the needle will start moving, this shows the ecu was properly Flashed. As well as adding some eye candy. Added the Knock Sensitivity table to EcuFlash. This table controls how sensitive the Knock Sensor is based on the Knock Control Above Load table. Stock below ~50 Load a sensitivity of 16 is used, and above 32 is used . 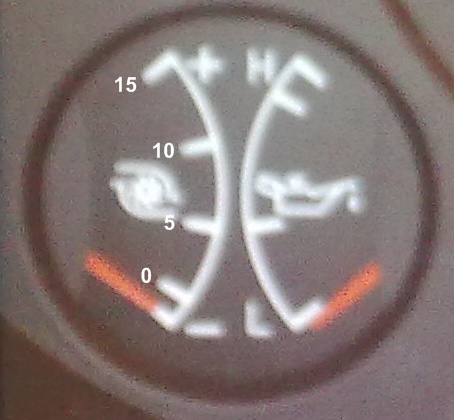 This means the Knock Sensor is twice as sensitive above ~50 Load. Should be useful for guys with loud forged pistons, etc. to get rid of phantom knock. These settings shouldn’t be touched unless they need to be, and you know what you are doing. It displays the LTFT currently in use’s trim %. By matching the % you can discern, which of the LTFT: Lo, Mid, Hi, is be used.